This week, we began a 5 part series in worship called “SENT OUT.” Jesus does not call us to live comfortable lives, be comfortable in our worship, or expect everything to go just right simply because we follow him. He calls us to go out into our communities and out into the world to follow Him, make disciples, show grace; and this all begins by knowing our identity. If I were to ask you, “Who are you?,” would you be able to answer this without stating what you do or describe your personality or preferences? We live in a culture that wraps our identity up with our job and what we like to do. This is not the basis of our true identity. Our true identity is a child of God, a person who has been made in the image of God. Jesus is on his way to be baptized. He is determined to follow through on this decision. People were coming from all over to be baptized by John the Baptist and repenting to turn their life over to God. Would Jesus have just been another person in the crowd? Would you be able to recognize Him? John recognized Jesus when He went in the water. When we get baptized, we go with a resolve to publically declare what God has been doing inside us. This is not done lightly and we should not take baptism lightly. In doing research for this message this week, I came across a story of a baptism in East Malaysia. This teenager knew she would not be welcome back home after being baptized and knew this meant she had a new life to live because she knew God had great plans for her life. How many of us would be willing to do the same thing? Jesus was not made more into the Son of God after He was baptized; but His identity was confirmed and affirmed by the heavens opening up giving the divine revelation (Ezekiel 1:1, Revelation 4:1), the voice from heaven that proclaimed His identity and showed His authority for the work He was about to enter. So now we have to ask the question, what does this mean for us today? We get to be affirmed in our identity as children of God and share this truth to those in our family, and others around us. We should always approach worship and the presence of God (which is all around us) with determination that God will do a great work within us and through us. We get to share this message of grace and truth because we know our identity: Child of God made in His image. This means we go into the world and tell the gospel message with confidence. Remember, there are really two types of people in this world: those who know they are God’s children, and those who do not know this. Why the Jordan River? The Israelites crossed the river with Joshua leading them after Moses died. They left their old way of life behind and entered into a new life, one that God desired them to have. From the beginning, God called His creation “good” (Genesis 1:26-27), and we get to join in the redemptive work with Him. Trust that God is doing a great work in you and will do great works through you. Child of God, know who you are and know you have a great purpose and mission for your life. But, just because you decide to follow Jesus Christ, does not mean your life will not be easy or comfortable because we want it to. Right after Jesus was baptized, He was sent into the wilderness by the Spirit and was tempted by Satan. Because He knew and was confident in His identity and purpose, He was able to withstand the temptations. You and I have this same power over temptations within us if we allow the Holy Spirit to dwell within you and live through you. Above all else, remember it is God who does incredible works and have given you the identity of Child of God. Stand firm in this identity and go into the world to make disciples for Jesus Christ. Look at what’s happening here…Jesus was asleep and at peace during the storm but the disciples were afraid! The disciples were in the middle of a storm and didn’t know what was going to happen. They were afraid and Jesus was right there with them! Jesus is also right here with us in the midst of the storms of our life. How do we react when things go from bad to worse? Do we trust and realize that Jesus is here with us? 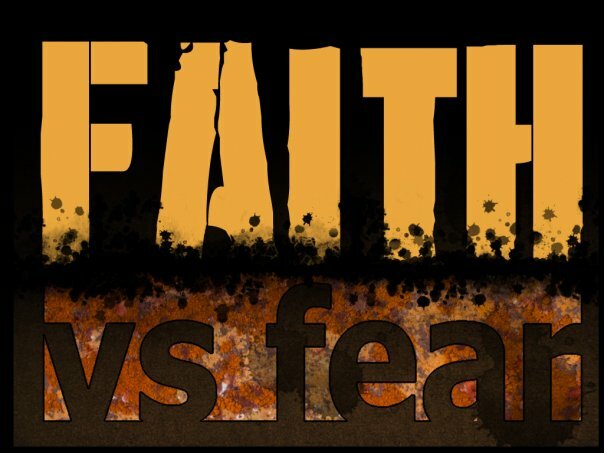 Or do we, like the disciples, feel the fear filling our spirit which causes us to diminish our faith in the God who loves us, walks with us and is always working within us to transform us to the people we were created to be? Should we trust that we can call out to Jesus when we do not have the resources or the waves are piling on us, AND that we can trust Jesus is right here with us to help us even before we ask? The awesome thing is that God, in Jesus, is with us always and is guiding us, all that is asked of us is that we simply trust the Living God and do not fear or worry. So, what are the storms in your life right now? Do trust Jesus is right there in the boat of life with you? How can you show yourself and those you’re around your faith and trust in Jesus’ love and protection?